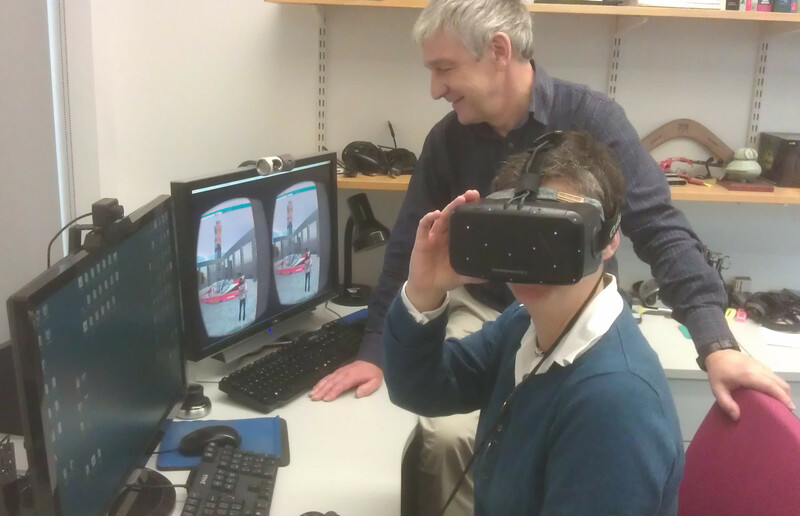 A visit to Informatics of those interested in virtual reality and virtual worlds for education in the University of Edinburgh Information Services (IS) took place on 1st December 2014. One of the visitors was Fiona Hale (nee Littleton) who helped establish the the Virtual University of Edinburgh (Vue) facilities in Second Life and who continues to maintain and support them along with Austin Tate, the Vue Coordinator. Also involved was Stuart Nicol, e-Learning advisor in IS. 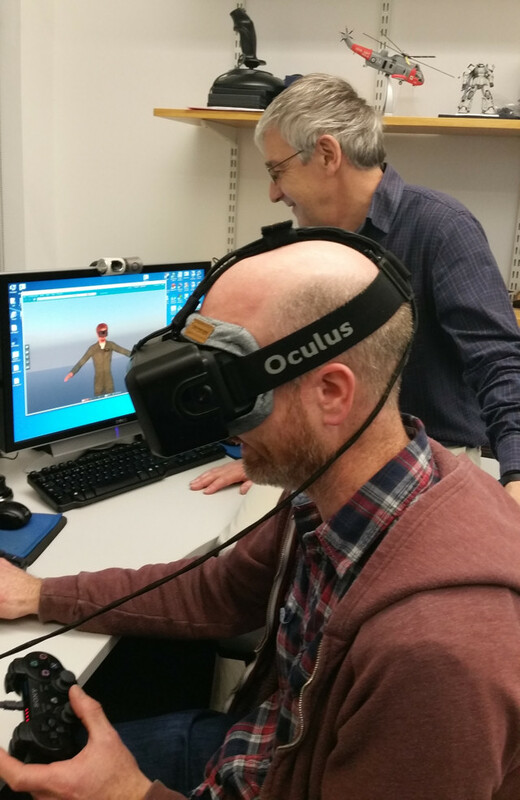 The purpose of the visit was to look at the latest developments in OpenSim services set up within Informatics and accessible to Vue users, but was mainly intended to try out the Oculus Rift Virtual Reality Head Mounted Display (HMD). 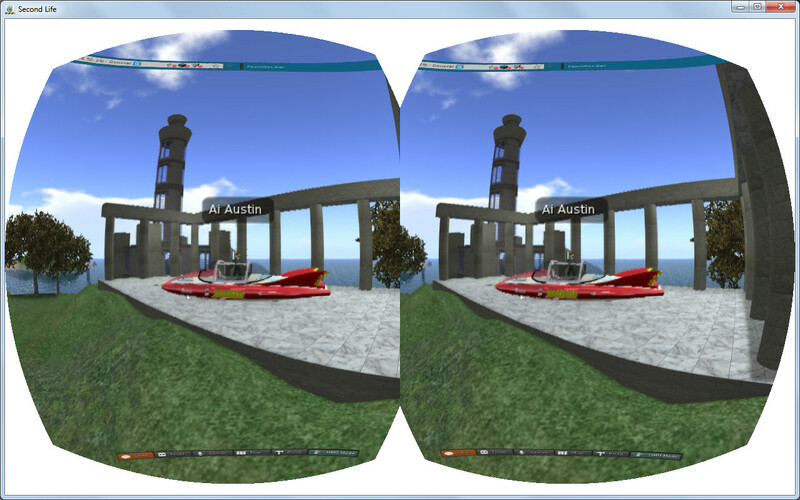 The meeting took place in the Vue server area and Austin’s VR demo lab in the Informatics Forum. The Oculus Rift is a development kit not yet intended for consumer use. It is supported by runtime and software development tools which are suitable for experimentation but can be awkward to set up and use. The preferred “Direct to Rift” view video driver for example does not yet work properly with many OpenGL applications.. such as those needed for Second Life, OpenSim and much more. These application instead use a video mode whereby the Oculus Rift is treated as a second “extended” display (960×1080 X 2) which needs fancy setup, multiple step key stroke based initiation, etc. 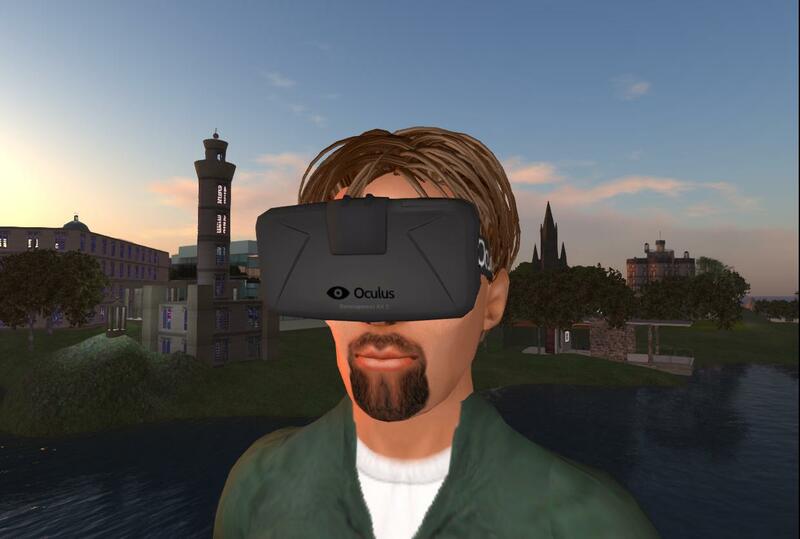 User interaction via a keyboard, as assumed by many programs such as the Second life Viewer, is difficult when wearing the Oculus Rift. Some “games” or experiences designed specifically for the Oculus Rift employ “gaze to select” whereby buttons light up for selection when you point your look direction at them. Also, in some programs, camera positioning and avatar movement can be done via an attached Xbox 360 controller or PS3 gamepad or 3DConnection device but experimentation is still needed to adopt good ways to interact with programs when wearing the Rift. 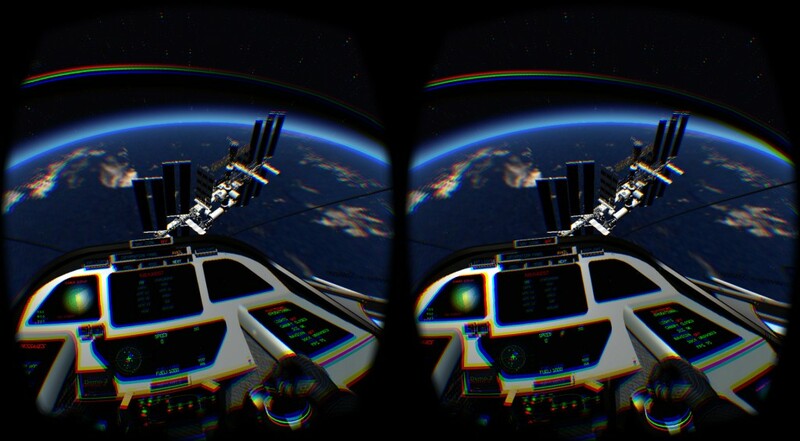 Some of the best stand alone demonstration of the Oculus Rift at present involve journeys to Earth orbit and the International Space Station (ISS), tours of the solar system and beyond to other star systems. These have, I believe, some of the most intuitive navigation and user interface systems, not relying on keyboard usage (which is difficult when wearing the Rift). An “Xbox 360 for Windows” controller can be used for movement and camera control. Examples are Titans of Space, VR Spacewalk and Discovering > Space (previously called “Solar System Explorer”). 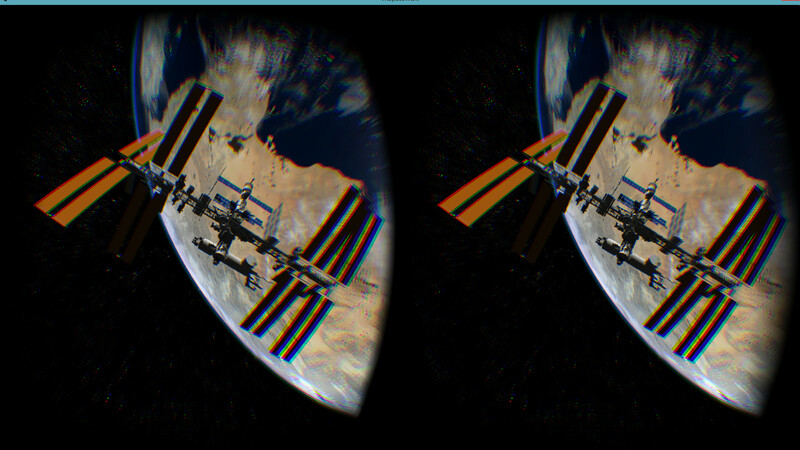 A free demo version of the latter, limited to Earth, Moon and ISS area exploration, is avalable. The team were specifically interested in how the Rift looks in Second Life and OpenSim, so we set up a visit to the Calton Hill Monuments area on the “Edinburgh University” region in Second Life, which has good 3D definition, a tower, columns and so on. Its also the area that Gerry Anderson’s Supercar test mesh is placed to act as a demonstration of high resolution 3D objects in Second Life and OpenSim. 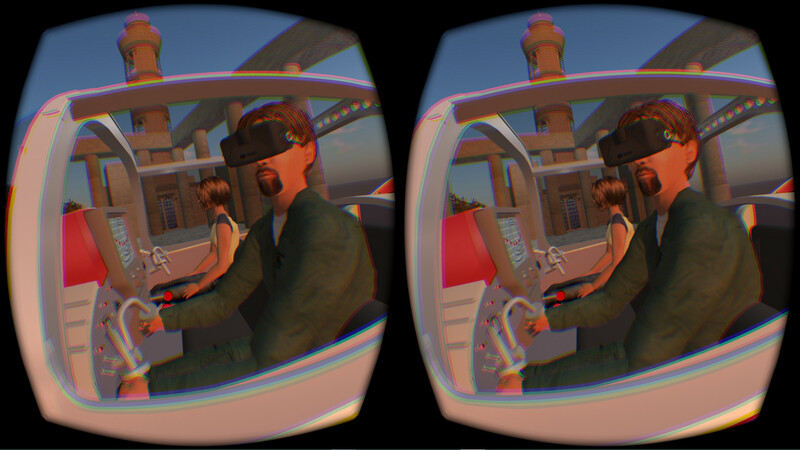 For those with the stomach, there are some very well modelled roller coaster simulators which include Oculus Rift support. The NoLimits 2 Roller Coaster Simulator is a great example. 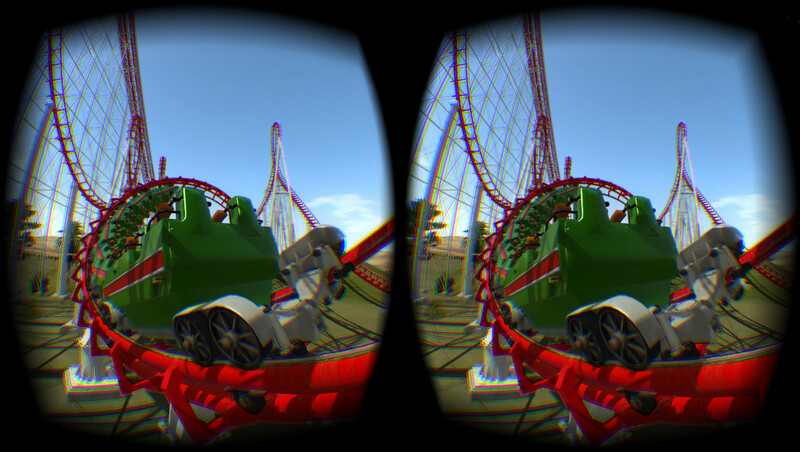 And there are one off VR experiences such as the Helix Rollercoaster produced by the Virtual Dutchmen. This entry was posted in Informatics, Oculus, OpenSim, Second Life, Virtual World, VR and tagged DK2, Oculus Rift, OpenSim, Openvue, Vue. Bookmark the permalink.